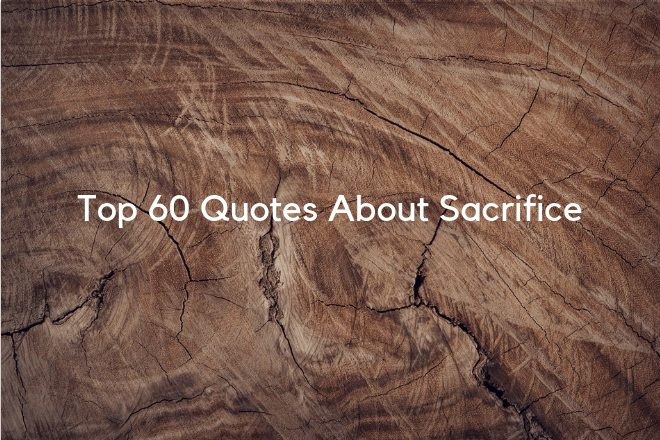 Below you’ll find our top 60 quotes about sacrifice, separated into 3 sections: Sacrifice in Life, Sacrifice in Relationships, and Quotes about Sacrifice from the Bible. The bible has many great quotes concerning sacrifice. Here are a few of the best we found. “Truly, truly, I say to you, unless a grain of wheat falls into the earth and dies, it remains alone; but if it dies, it bears much fruit. “He who loves his life loses it, and he who hates his life in this world will keep it to life eternal. “So then, none of you can be My disciple who does not give up all his own possessions. Which quote about sacrifice was your favorite? Let us know below in the comments!